As part of 10 Years of Games Asylum, the site’s fine writers are each choosing one game to represent the last decade. Now it’s Adam’s turn. Despite Matt’s fondness for Viva Piñata and random budget games, it turns out we almost made the same selection for our ‘game of the decade’. Matt picked Fallout 3, just ahead of Shenmue II and Star Wars: Knights of the Old Republic. Those games are certainly near the top of my list too, all brilliant role playing games set in captivating game worlds. Matt forgot to mention Mass Effect, but I’ll let him off. The games that have really stuck in my mind over the years, are practically alternate reality simulators. So I suppose it makes sense that I should choose World of Warcraft as my game of the decade, as it’s almost certainly the most popular alternate reality around. Along with millions of others, I’ve spent countless hours in Blizzard’s virtual world. Whilst I didn’t go looking for sailors or feel much of a connection with the clichéd storytelling, the gameplay mechanics and polished online world were captivating enough. I don’t really want to think about how many hours I sunk into WoW, but from the summer of 2005 till the summer of 2006, it was my regular plaything. I’m sure many would liken WoW more to crack than entertainment, and that’s not entirely wrong – but the reason people continue to play the game for years, way after ‘completing’ it (if you even can complete a continuously expanding online game), is the people they play with. 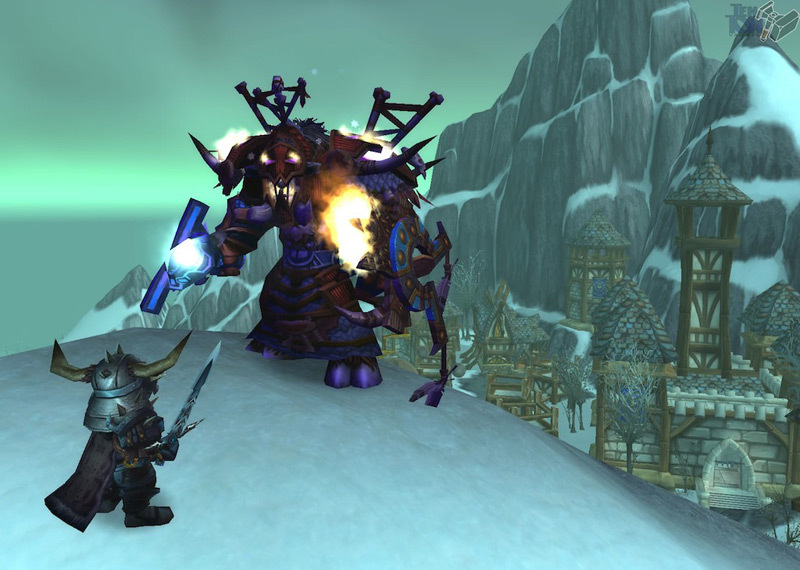 WoW is part online RPG, part social media, part online chat. Back before Twitter, WoW’s Guild Chat channel was essentially a great big gathering of nerds. Thinking about GA’s 10th birthday and this whole decade topic, it seems right to mention Phantasy Star Online – as it’s both a predecessor to World of Warcraft (although not a ‘massive’ online RPG), and GA started out as a Sega website. PSO was one of the first online console games ever, and it was ridiculously impressive at the time, set in a beautiful sci-fi world. Unfortunately Sega never really managed to create a brilliant MMORPG with the Phantasy Star world (there was Phantasy Star Universe, but it was a bit balls and far behind the likes of WoW). But World of Warcraft is the one game that genuinely hindered my productivity, both at work and writing for this site. It’s certainly my most played – possibly of all time – and as a result, one of my most memorable gaming experiences. It’s not really the most innovative game in the world – although there’s a lot to be said for the amount of polish and depth Blizzard managed to cram into their little universe, and it’s quite a technical feat for each server to flawlessly handle thousands of players. And there’s no denying the fact that it’s one of the most successful games of all time. Here’s to World of Warcraft then, and the human mage, undead mage and undead rogue I spent literally hundreds of hours with. It was quite fun. Blizzard certainly created an interesting virtual world. I’m not sure if I’m looking forward to the next great MMORPG – as much as it would be my dream game, I do quite enjoy having a social life and gainful employment. I guess that crack analogy’s not wrong. I didn’t like the second Viva Piñata. Or the Party Animals crappy-game collection. I do like quirky budget games though! Name some good budget PS3 games Matt lad. Prince of Persia Trilogy has been £12 online for a while now. Also: The Sly Cooper Trilogy. Yakuza, whatever the PS3 Katamari game was called. Sega Mega Drive Collection? And didn’t Wipeout HD get released on disk?